This heart of mine is smiling. A blissful joy I never had so rising. Two of us, forever you and me. This romantic poem expresses the happiness of a loving couple who found each other across large distances and fell in love despite all obstacles. It is a pledge of eternal love sprung from two hearts fused as one, beating the same rythm of bliss. 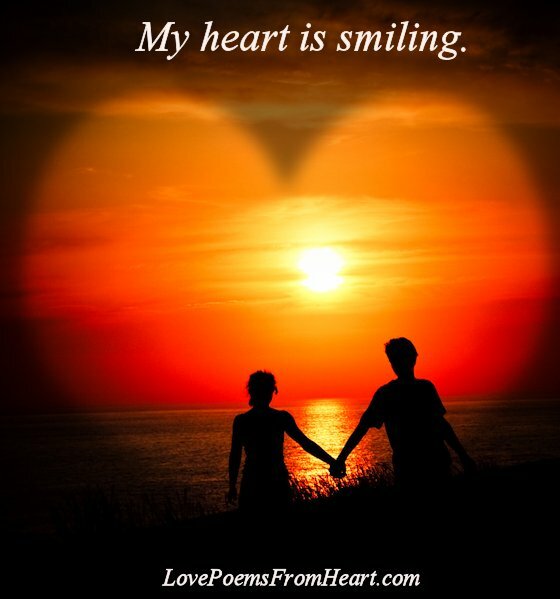 The heart is smiling as it hugs its pair, its other half. The words are like a flowing river of joy, penned through the inspiration of the whispering love.